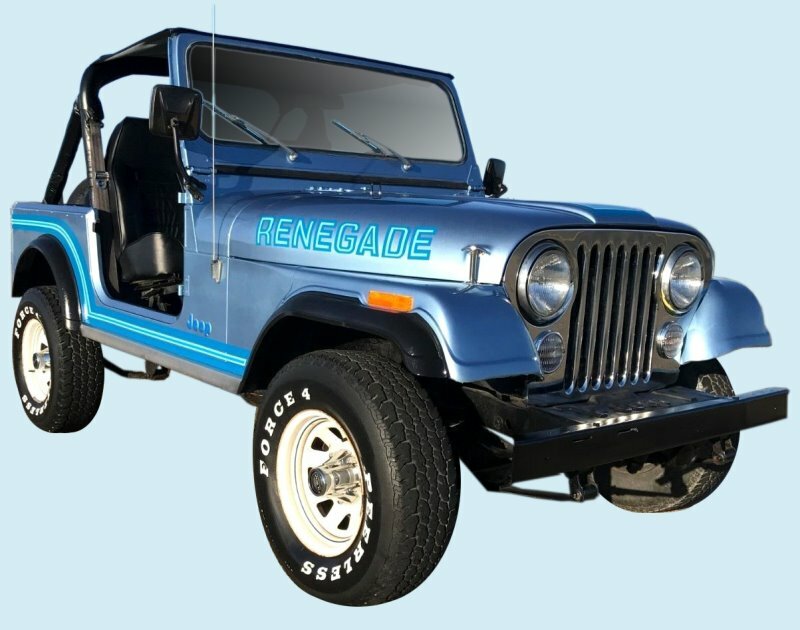 Your 1985-86 Jeep Renegade deserves the best restoration decal and stripe kit available. Manufactured to meet or exceed factory specs, our Jeep-style stripe kit will help you repair or restore your Renegade so that it looks like it just rolled off the assembly line. Increase the value of your classic 4x4 with a stripe/decal kit from Phoenix Graphix.